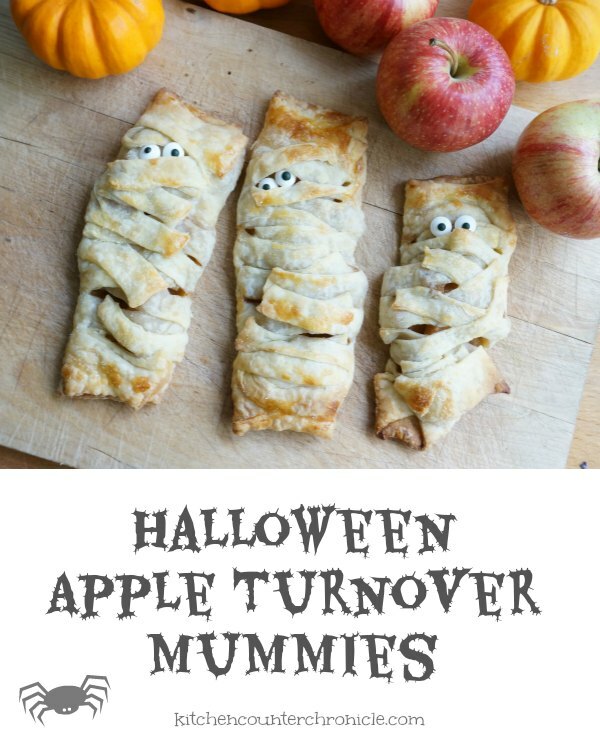 How cute are these Halloween apple turnover mummies? I mean really? They are simple to make. 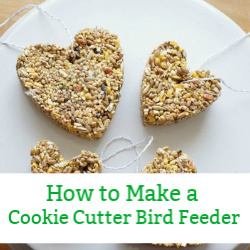 You only need a few ingredients…which you probably already have in your kitchen right now. 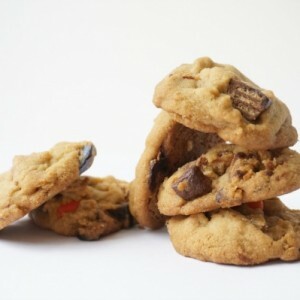 Bake up a batch and send them off to the kid’s school Halloween party or keep them around for a little pre-Halloween snacking. 1. Peel and slice the apples. Cut into slices and then halve the slices. You don’t want the apples to poke a hole in the pastry. 2. Add apples, cinnamon and maple syrup to a small pot. Simmer over medium heat, until apples soften. Approximately 5-10 minutes. 3. Once apples have softened, remove from heat and set aside. 4. Roll out puff pastry on a lightly floured surface. 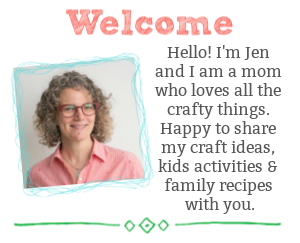 Make a large rectangle – about 24″ x 12″. 5. Use a sharp knife to cut 6 squares of pastry. 6. Spoon 1-2 tbsp of apples into the centre of each square – right down the middle. 7. 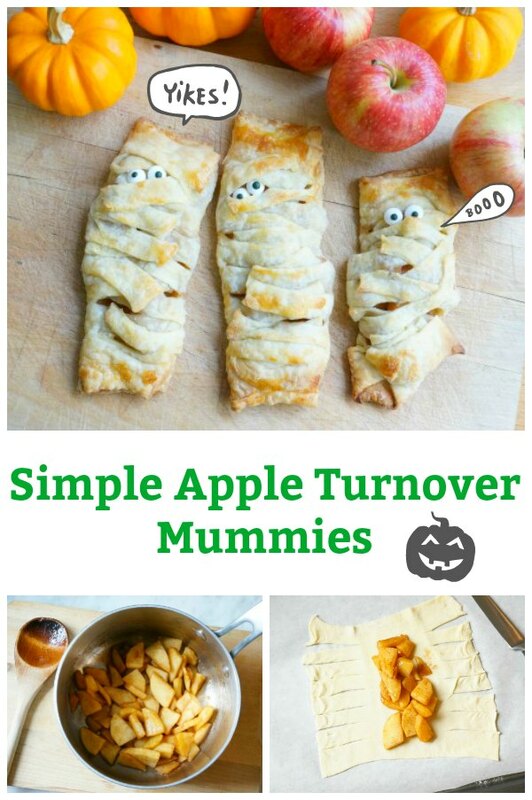 Use a sharp knife to slice strips into the pastry on either side of the apple filling. These will be the mummy’s shroud. 8. 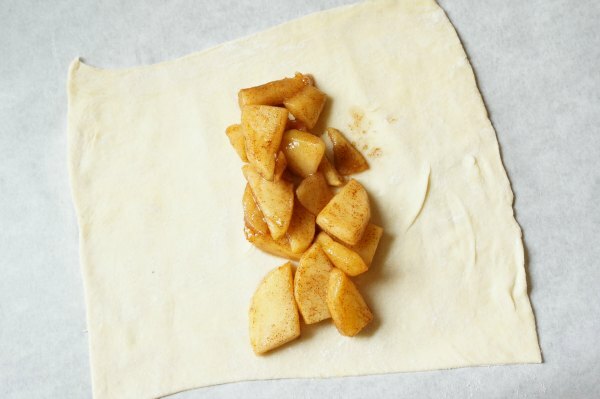 Fold pastry strips into the centre, overtop of the apple filling. To make your mummy look authentic, be sure to wrap the strips messily. They need to keep the filling in, but don’t have to look all neat and tidy…great job for the kids. 9. Beat the egg in a small bowl. 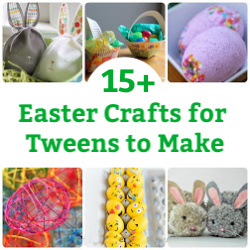 Use a brush, or your fingers, to lightly brush egg wash on the wrapped mummies. 10. Lightly dust mummies with sugar. 11. 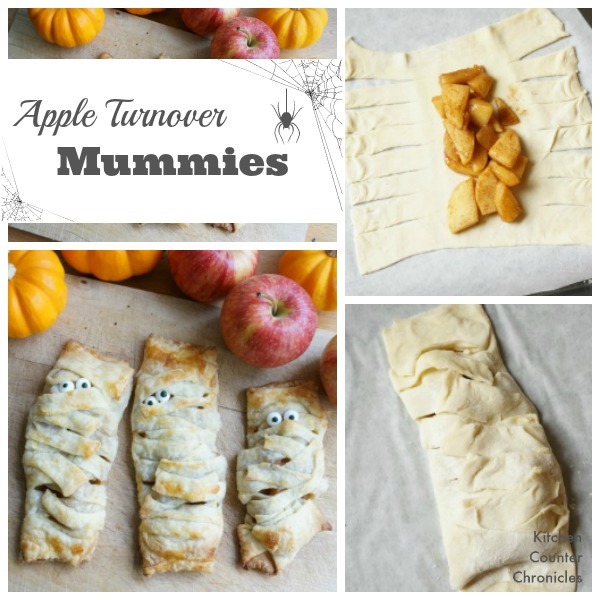 Place apple turnovers mummies on a parchment paper lined baking sheet. Bake in a 375°F oven for 10-15 minutes. Until bottom of turnovers are golden brown. 12. Remove from oven and let cool. 13. Pick the perfect spot to pop in the sugar eyeballs and enjoy! Peel and slice the apples. Cut into slices and then halve the slices. You don't want the apples to poke a hole in the pastry. 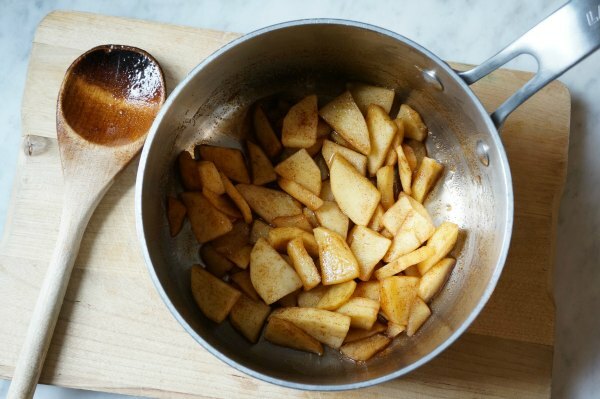 Add apples, cinnamon and maple syrup to a small pot. Simmer over medium heat, until apples soften. Approximately 5-10 minutes. 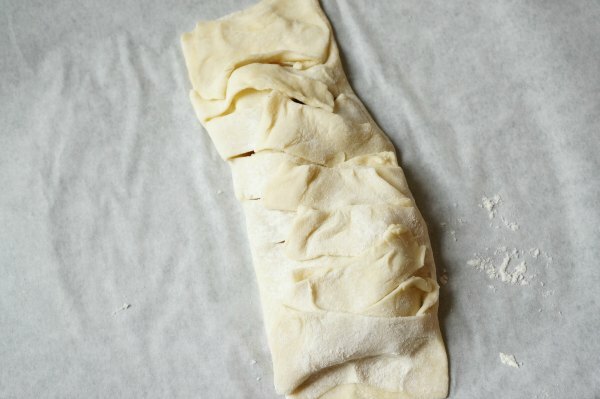 Roll out puff pastry on a lightly floured surface. Make a large rectangle – about 24″ x 12″. Use a sharp knife to cut 6 squares of pastry. Spoon 1-2 tbsp of apples into the centre of each square – right down the middle. 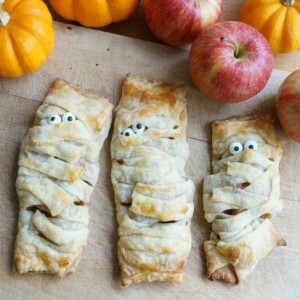 Use a sharp knife to slice strips into the pastry on either side of the apple filling. These will be the mummy’s shroud. 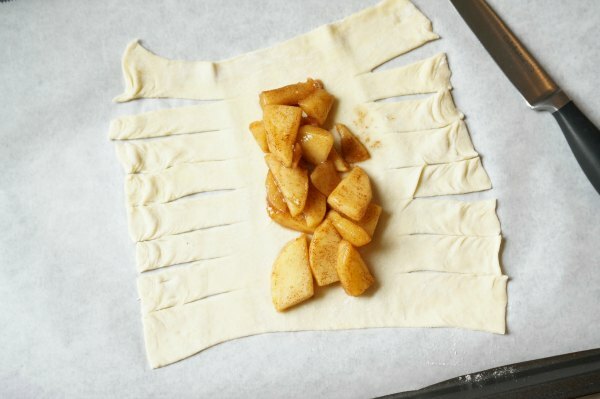 Fold pastry strips into the centre, overtop of the apple filling. To make your mummy look authentic, be sure to wrap the strips messily. They need to keep the filling in, but don’t have to look all neat and tidy…great job for the kids. Beat the egg in a small bowl. Use a brush, or your fingers, to lightly brush egg wash on the wrapped mummies. 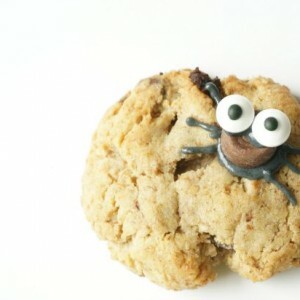 Looking for more fun Halloween inspiration? 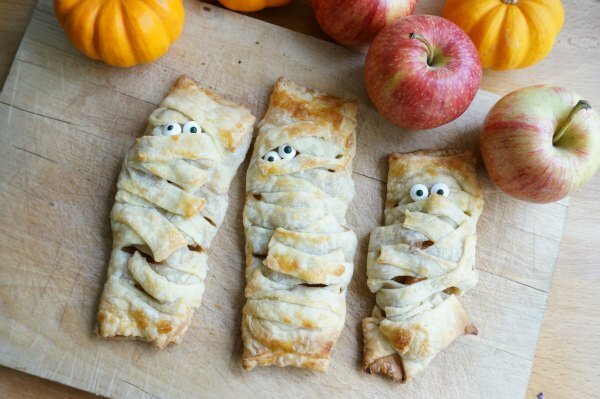 Check out our Halloween and Fall Fun board on Pinterest.